The brilliant minds of the Washington, DC Council have reportedly come up with an innovative crime fighting measure that is sure to stop crime in its tracks before it even happens…. As written and unanimously approved on first reading earlier this week by the Council, The Neighborhood Engagement Achieves Results Amendment Act (NEAR) will pay a stipend to District of Columbia residents who are considered at risk of engaging in criminal behaviour or at risk of becoming a victim of violent crime if they participate in behavioural therapy and remain crime free. That’s right, Washington, DC residents will have the privilege of seeing their hard-earned tax money being used to pay potential criminals not to commit crime. Instead of handing their hard-earned money over to a mugger on the street taxpayers will just give it to the DC government, which will then make sure that it gets into the hands of the most deserving potential criminals who promise to curtail their criminal activities. What do ya think: Win-Win? 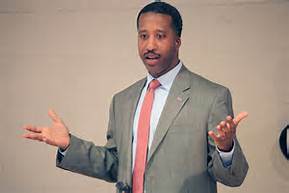 According to McDuffie paying a potential criminal $9,000 in stipends “pales in comparison” to the cost of someone being victimized by a crime, and subsequent costs of incarcerating the offender. For the record, Washington DC has seen its violent crime and murder rate spike by more than 50 percent over the past year, and while the criminal violence levels aren’t yet approaching the levels seen in the late 1980s and early 1990s when DC was known as the “murder capital of America,” the upward trend has been quite noticeable. Other than negative comments from the mayor and the police, opposition to the NEAR bill has been muted; however, community groups, the National Association for the Advancement of Colored People (NAACP) and Black Lives Matter have been effusive with their praise. Such groups have urged passage of the NEAR bill, and agree with McDuffie that crime prevention is better served by treating it as a “public health problem” rather than treating it with stricter enforcement and penalties. The NEAR bill is modified on a program in Richmond, California, which pays male residents aged 13 to 25 considered to be most at risk of killing or being killed a monthly stipend of between $300 to $1,000 in exchange for following a “life map” of positive behavior. The program is funded through a mix of municipal taxpayer funding and private donors. According to a report presented to the DC Council, 79 percent of participants in the Richmond program have not been suspects in any “gun” crimes since joining the program, and 84 percent have not been injured by gunfire. If, as expected, the NEAR bill is approved, funding would have to come from other programs, according to the DC chief financial officer, and it is unclear whether the DC Council will be able to determine how exactly to fund the program for the next fiscal year. As currently drafted, the program is expected to provide the stipend—along with mental health counselling and job training—for up to 200 “at-risk” potential criminals and/or victims each year. Along with the possibility that the program may be entirely underfunded as currently envisioned, we wonder if the program will reach the right potential criminals. Free money will certainly be enticing for some; however, when your average street-level drug dealer can make that kind of money in a month, he (or she) will likely stay on the street—despite the potential for violence— rather than take the government’s relative measly handout. …the most ludicrous crime-fighting strategy you’ve ever heard of? —Published in hashitout.com February 5.